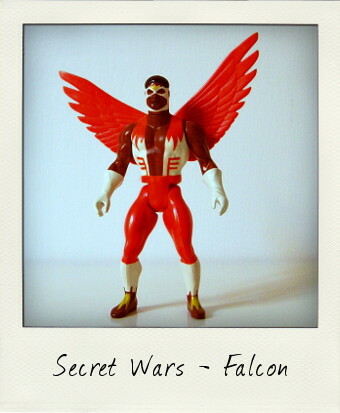 One of my favourite action figures from the vintage Mattel's Secret Wars 4 ½ inch series featuring superheroes from the Marvel Universe is, without a doubt, the Falcon. He may not have actually featured in Marvel's tie-in Secret Wars limited series of comics, but fans seem more than happy to overlook that detail when faced with an action figure that looks this good! The Falcon had, however, starred in his own 4 issue miniseries from November 1983 to February 1984, so maybe the powers that be at Marvel thought this was as a good a time as any to slip a Falcon figure into this series. Issued as part of the second series alongside Baron Zemo, Daredevil, Hobgoblin and the black-suited version of Spider-man, Sam Wilson aka the Falcon is quite possibly the best of the bunch, with a fantastic body sculpt (check out the muscles on the back of his arms), accurate paintwork on a classic rendition of his costume and, best of all, a fine set of moveable wings that can be neatly closed behind him or spread wide in flight. With the Falcon, Captain America's friend and ally, Marvel introduced the first African American superhero to mainstream comic books and this action figure certainly does him proud. 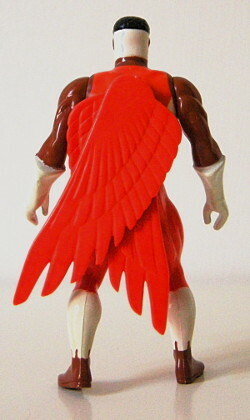 Created by the legendary writer Stan Lee and artist Gene Colan back in 1969, this vintage figure looks to have been based on the later Jack Kirby art work (somewhere along the way the Falcon swapped his original green spandex outfit for a far more fetching orange and white affair). My only tiny gripe, and it really is tiny, would be that for some reason the eyes were not painted – which seems odd in what is otherwise a carefully detailed figure. My Falcon is in absolutely pristine condition with tight limbs and he still has his Secret Wars Secret Shield, a gimmick that came with all the figures (the shield can be opened and a two-sided lenticular image disc inserted, which changes when viewed from different angles). 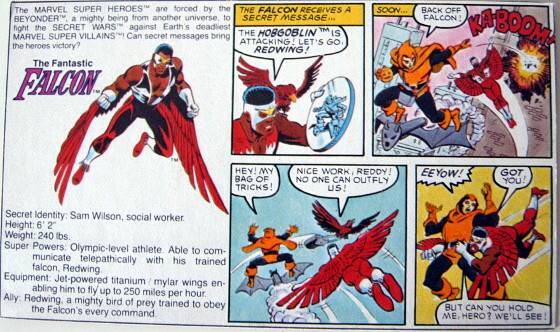 Sadly, however, his most unique accessory has flown away – Redwing, the falcon with whom the superhero shares a telepathic bond. 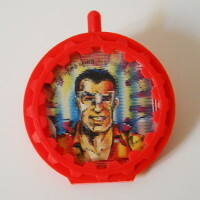 I don't usually obsess too much about accessories, but I think this is one that I'll try to track down to complete such a wonderful vintage figure!